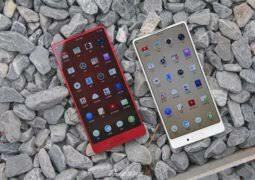 Wonders shall never end, every day brings new surprises in the mobile phone industry. Who knows what's gonna happen in the next five years. Anyway, let me ask you this question; what will you do with a smartphone with 1TB (terabytes) internal storage? Well, a smartphone called Smartisan R1 has been launched with huge 1TB Memory out of the box. I guess you are coming across this name for the first so I will give a little information here. Smartisan is a chinese manufacturer that has set a record other popular brands will struggle to meet up with. 1TB storage is whooping too much on a smartphone but I’m guessing you’ll love this. In this post, I will tell us more on the features and specs of this amazing smartphone as well as the price. It will interest you to know that this phone comes in three variants. Smartisan R1 comes with a stylish design with a moderate size benzel at the bottom which gives the Smartisan R1 an 84% screen-to-body ratio. The body is built on a grade 7 aluminum frame and covered with 3D glass. Smartisan R1 has a 6.17inches pressure sensitive display with a 2242 x 1080 resolution, 18.7:9 aspect ratio. The device is powered by a Snapdragon 845 processor clocked at 2.8GHz paired with adreno 630. 4.8GB RAM + 1TB storage. The phone supports UFS 2.1 and other specs looks interesting. In the photography department, Smartisan R1 features a dual rear cameras (12MP + 20MP)and front camera is 24MP sensor with A1 real time beauty mode just as Oppo Realme 1. The R1 also support latest Bluetooth 5.0, dual-band Wi-Fi, NFC+eSE, and has a USB-C port with Display Port 1.4. It also has dual SIM support (nano only) and global LTE band support. The Smartisan R1 support Quick Charge 4+, Power Delivery 3.0 and 10W wireless charging. 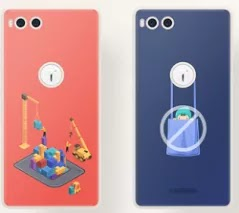 The Smartisan R1 is available for purchase on the official site and also on JD.com. Included in the box is a USB-C to USB-C cable, a Quick Charge 4+ charger, a USB-C to 3.5mm adapter, and a SIM ejector tool.